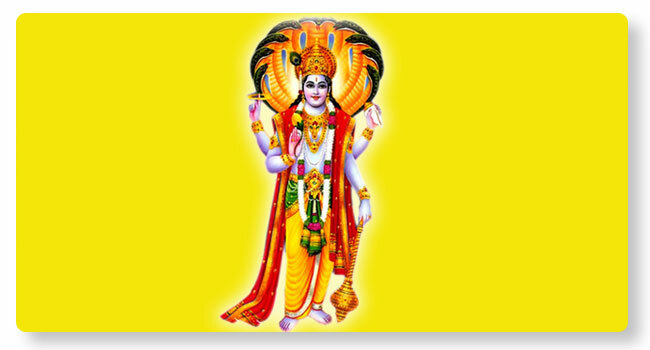 As one reaches the age completion of sixty years, seventy years, eighty years, ninety years as per Janmakundali (Horoscope), it is a customary practice to offer Vishnu Puja as obeisance to Lord Vishnu. It is considered very auspicious to conduct Dwadashanama Puja followed by giving Daan (donations) every month in that year, on the day of Janma Nakshatra (birth star). Puja is conducted with recital of Vishnu Ashtottara Namam, Sahasranamam, Purusha Bhagyam, Samvada or Vishnu Suktam as desired. Performing this Puja during day-time is believed to give optimum results. In order to get family life and welfare, Lakshmi Puja may be considered. Vishnu Puja will be conducted in strict adherence to traditions of Kerala for good results.